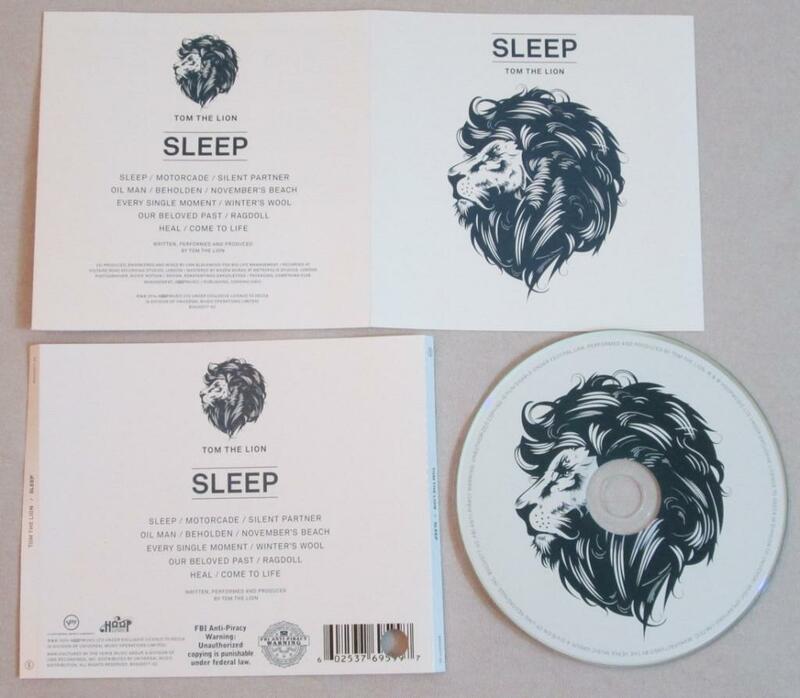 The first thing you will realize about Tom the Lion’s sophomore album Sleep is that it’s a little old, in fact about a year, but with our massive stacks of music you have to start somewhere. The first thing you will realize however, while you listen to the London, England based indie rock band is their unique spacey sound, which makes feel as though your floating in mid-air while still providing a surprisingly big, powerful and at times emotionally charged feel to their music. Perhaps the closest main stream equivalent to Tom the Lion would be to arena rock bands such as the Killers and U2, though where these bands tend to lean towards bigger powerful wafts of uplifting synthesizer lead, distortion filled moments of pure awesome (I’m one of the like five people who actually enjoyed the “crappy” album U2 dropped on everybody who IPhone a couple years back). Tom the Lion prefers to keep things on a lower more mellow level allowing for some beautifully musical moments where everything seems to align itself perfectly, creating complete Zen of synthesizer rich indie music. Yet, the record is not perfect. Specifically there is a lack of dynamic range. Sleep is an album that loves its sound and refuses to deviate from an admittedly winning formula. From the Silent Partner to Winter’s wool Tom the Lion is at their best when they are laying down a slow but grooving rhythm overlaid by a myriad of melodies and counter melodies provided by spacy synths, guitars, and keyboards. This leads to some very well developed courses, and I found myself sing along far more than once. Though I sat listening to this album I found it impossible to tell most of the songs apart, while some level this is enjoyable as it makes the album feel cohesive as whole. It does make looking at individual songs a bit bother, as while the hooks on tracks such as Ragdoll and Beholden are great, it can be hard to discern them apart once you get past the hooks. The one time the band does deviate from their formula, is in the track Oil Man which is interesting but ultimately falls flat in terms of giving any sort of substance besides deviation. I am going to give this album a VERY solid seven out of ten. Tom the Lion, despite being a year old, proves to me I should learn their name with a fun and unique sound, and I look forward to seeing more or their stuff in our inbox. However this album just does not provide enough deviation and substance for me to truly appreciate their album. Though it is been a good entry point to a band who I hope will have long and exciting career. If you hear any one of Dylan Gardner’s songs, you imagine him playing it in front of thousands. His music has that upbeat electronic sound that’s popular today without sounding like every other pop song on the radio. However, his August 25 concert at Kilby Court was played in front of only about 30 people. A show of this small size could be awkward if the musician makes it so. However, Gardner brought an enthusiasm that was only amplified by the intimacy of the venue. But he wasn’t the only performer to play an energetic set. The first opener, As We Speak, played a drum heavy set that got everyone jumping or dancing along with the beat. Based in Salt Lake City, As We Speak is a rock/alternative band. They just released their first EP, aptly titled The EP. They were clearly comfortable onstage, maintaining a relaxed but upbeat energy. After As We Speak, another local band called RKDN came on. They also just released an EP called Stone Cold and played most of the songs off that EP. They heavily encouraged audience participation, teaching them the chorus to their song Silver so the audience could sing along. They also told the audience to dance numerous times during their song. Because their music is more electronic sounding than As We Speak, they were the perfect lead in for Dylan Gardner. After the quick sound check, Gardner immediately launched into a lively rendition of one of his songs off his album debut album, Adventures in Real Time. The most noticeable thing about it was the unique stage presence he brought. It was easy to see that Gardner was simply having fun onstage. He was laughing and smiling throughout the entirety of the song, something that continued throughout the concert. In addition, he brought a unique personality to his set that no other singer could replicate. 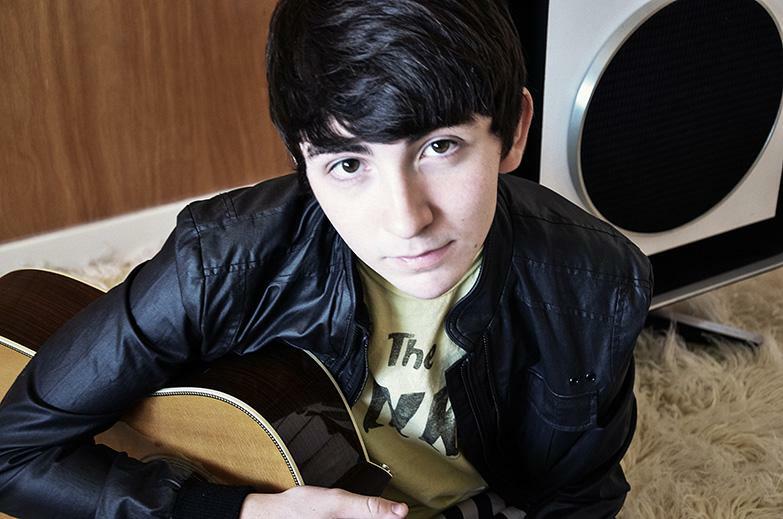 For example, there is a short break in the recorded version of his song Let’s Get Started. However, he extended this break for as long as he could as the audience eagerly awaited him to pick it back up. “Oh you guys all know what’s going on. Usually I try to milk the audience for as long as possible but I could tell you guys knew,” Gardner remarked after the song was over. Over all, his concert can only be described as having an incredibly fun atmosphere. 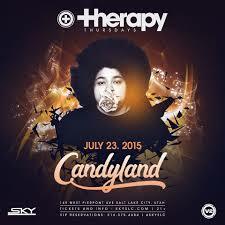 DJWord interviewed Josie Martin, more popularly known as Candyland, before her set at Sky SLC on Thursday, July 23rd. Listen to the interview right here! Check out our pre-interview article on the concert here! Local band Ocean Commotion stopped by the Midday Mix to give an acoustic performance, talk Kilby Community and their new EP, and Rapchat (this is a real thing) on-air.